Employment Opportunities — Prairie Voices Inc. The Prairie Voices Inc. Board of Directors is currently seeking applicants to fill the position of Artistic Director for Bluestem. The Artistic Director position will be on a one-year term contract, subject to review with the possibility of renewal or termination at the end of one year. The position will be compensated via an honorarium. The Artistic Director will report to the Prairie Voices Inc. Board of Directors. The successful candidate will be expected to start the audition, scheduling and repertoire selection process upon acceptance, in order to ensure a smooth transition into the 2019-2020 season. Recruiting, auditioning and retaining choristers, based on the age bracket of 14-18 years. Choosing repertoire for the choir that reflects the Prairie Voices Inc. mandate. Planning the season’s itinerary of performances. Planning and conducting rehearsals (approximately 2.5 hrs per week), sectionals, dress rehearsals and performances. Collaborating with current Horizon and Prairie Voices Artistic Directors to manage scheduling and repertoire selection. Providing mentorship to the Bluestem Assistant Director, as outlined in the Assistant Director guidelines. Communicating with the Prairie Voices Inc. board in a professional and timely fashion, and submitting a monthly director’s report for review at board meetings. Other duties as assigned by the Prairie Voices Inc. Board. The successful applicant must have advanced choral conducting experience, with a preference for high school or adult-level choirs. He or she will demonstrate a keen desire to lead a high-caliber community choir for enthusiastic singers. Application materials must be submitted in full to Amy Wolfe, Executive Director of Prairie Voices Inc. by email (admin@prairievoices.ca). An independent selection committee will review the applications and choose the successful applicant. The deadline for applications is Friday, April 26, 2019 at 5:00pm. 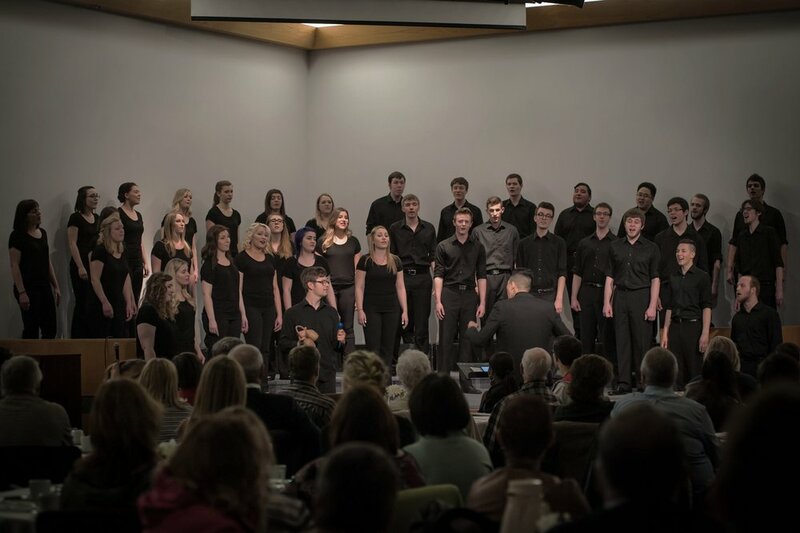 Bluestem launched in September 2018 under the direction of Geung Kroeker-Lee, as a place for singers in grades 9-12 who are passionate about music-making. The creation of Bluestem expands the Prairie Voices Inc. family of choirs to meet the needs of a growing choral community. Operating as a sister ensemble to the existing Prairie Voices and Horizon choirs, Bluestem will continue Prairie Voices’ strong choral tradition of bringing style, energy and passion to the stage.